How many calories should one consume in a day? What is the role of exercise in weight loss? What are the simple tools you need to have to educate yourself and have success? This book has a simple premise with all the tools you need to succeed. It demystifies many of the areas that people struggle with when trying to lose weight. Then once you've lost the weight, there are sections on how to keep the weight off and what to do if you put some weight back on, as well as tips on everything from how you can boost your calorie intake without gaining weight and how to reduce your calorie intake without starving. In 2011, Jessica Irvine dropped a whopping 20 kilograms by following her 'Bottom Line' diet and this year, after putting weight back on, she is using her diet again to shed that and some more that she would like to lose. 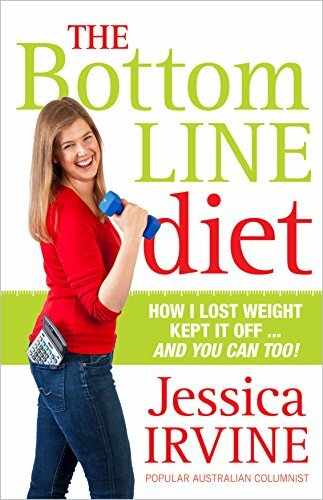 Jessica has set herself the target to weigh 65 kilos by the federal budget in May. Jessica Irvine is National Economics Editor of News Limited's metropolitan daily newspapers, including The Daily Telegraph, The Herald Sun, The Courier Mail, and The Adelaide Advertiser. Before that she was economics writer for The Sydney Morning Herald, including a two-year stint in the federal Press Gallery in Canberra. 1. The Bottom Line Diet: How I Lost Weight, Kept it off. and You Can Too! 4. The Bottom Line Diet: How I Lost Weight, Kept if Off.And You Can Too!